I know a lot of you follow Turner Classic Movies channel’s mystery movies, as well as their terrific classic movies. 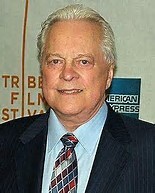 And, let’s face it, anyone who enjoys that channel knows how absolutely phenomenal Robert Osborne’s terrific special conversations with actors, as well as his even more terrific introductions and wrap-ups of movies were. Unfortunately, Robert Osborne passed away on March 6, 2017. Because of his recent death, the Turner Classic Movies channel has rescheduled their showings for this weekend to include “Private Screening” with different actors as well as the 20th year anniversary tribute for Robert Osborne, along with his “Live from the TCM Film Festival” conversations with actors. Over the years, I have watched many of these special Robert Osborne showings. I never seemed to get enough of his vast knowledge of Hollywood’s best and finest years. I loved hearing him talk about the meticulous notes he has taken all of his life. I also loved hearing all the Hollywood tidbits he would tell his audience. If you get the Turner Classic Movies channel, you may be interested in seeing some of these very special Robert Osborne highlights. I know I am! The tribute has been very good. I watched a lot of it this morning. I like the way you can tell his favorites like Eva Marie Saint and Diane Baker, and many others. Because of him and his knowledge, I watched movies I wouldn’t ordinarily have watched. He will always be synonymous with classic Hollywood. Like you, I’m a longtime fan of TCM in general and Robert Osborne in particular. It was always so much fun to hear his stories about what went on behind the scenes of the movies he introduced. And his love of film, and actors, came through in every interview he did. He will be missed. Thank you for honoring him in your blog. He will be missed by many of us film buffs! Oh, thank you! Your Feb. movie suggestions were wonderful!! Also, have been listening to Cherringham series by Neil Richards. The reader is wonderful and so far, the mysteries have been really good. When I’m lucky enough to be at a home where TCM is among the channel selections, I love to watch the classics. Mr Osborne added so much with his historical tidbits and insider knowledge! I was amazed to hear his age — this proves that if you love what you do, you can do it for a long, long time. I’m glad he was here with us to share his love of classic — and some not-so-classic — films! Mr. Osborne a gentle man who has passion and love for the classic movies I myself will miss him very much now when I am watching TMC a part of the show is missing. I love the classic movies and will continue to watch TWC such passion and drama that go into the storyline. The Golden years was a beautiful time in acting and proud to have been a part of that time !! Rest in peace you will be truly missed! Good morning, have you stopped posting about the HallMark Movies and Mysteries monthly shows? I haven’t seen it recently and wondered why? Linda, unfortunately, looking up the Hallmark movies showings is really a lot of work. The Hallmark site isn’t very good, so it takes a lot more effort to get the Hallmark movies than it does TCM movies. I only have so much time to spend on the site, and it seemed like I was spending far too long trying to figure out Hallmark movies when I could be doing something less frustrating. I’m sorry if it’s a feature you were enjoying or look forward to, but unless something changes, I’m only going to be highlighting TCM movies for the foreseeable future. Two years ago, on my 50th bday, I attended the TCM Film Festival in Hollywood. The trip of a lifetime. (I live in Ohio.) Unfortunately, Mr. Osbourne couldn’t attend and I was very disappointed, as many others. We wrote get well wishes and notes of encouragement that TCM collected at one of the registration booths, and you could tell he was so well loved, myself included of course! He was such a gift to the world and I can’t help but imagine that he is in his glory, being WITH the stars he so admired and loved. All of them looking down on us, pleased that we won’t forget them and we still enjoy their talents on the screen…I’ve always loved Lucille Ball, and one of the best decisions she made was to encourage the young Robert to take the path he took to make our lives more enjoyable. I’m sure they’re sharing great laughs together. He’s a star in my book! BTW, Ben Mankiewicz and the TCM team ROCKED the festival…top class all the way! The world was a better place with Robert Osborne. He will be missed. I have enjoyed TCM over the years .During the sadist times of my life it helped me cope. Sleep with angels Robert you are missed.